The words “no sew” are like music to my ears. I know the basics of sewing but do not have a machine and can’t seem to carry out more than temporarily sewing a ripped seam to get me through a day. 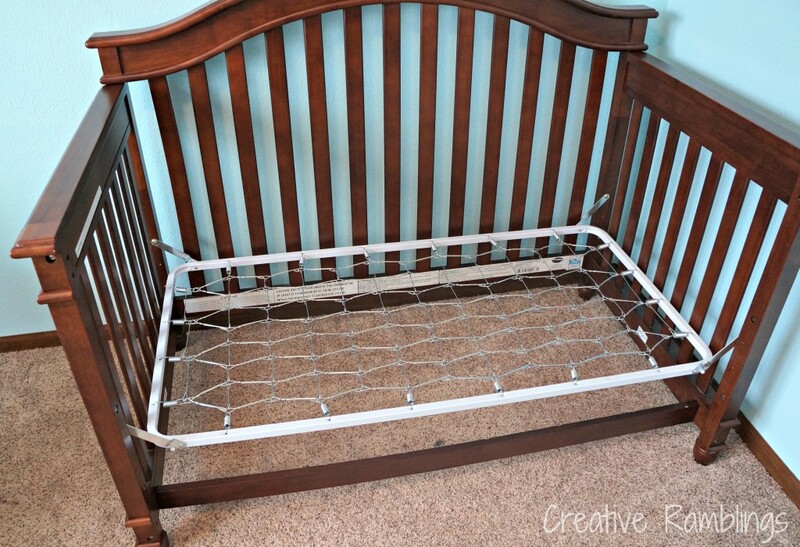 I came across this easy tutorial for a crib skirt from View Along the Way and fell in love, it adjusts as you lower the crib mattress, genius. With store-bought skirts you end up with bunched up fabric or nothing at all when its time to lower the mattress. When I realized I could make this happen without sewing, it went on my baby to-do list. The original tutorial is a little more in depth than you will see here, you should definitely check it out. 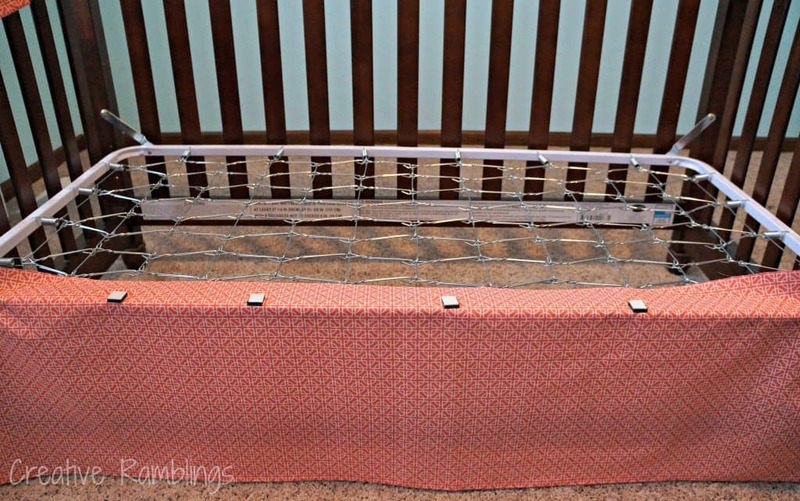 Set up your crib and measure the height from the platform to the floor and the length of the front and both sides. Add and 2 inches to the length of each side and three inches to the height. Cut out 3 rectangles using these measurements. Iron the fabric and iron a seam on the sides and bottom. Then add a little Permanent Fabric Adhesive (affiliate link) to hold the hem in place. No-sew! 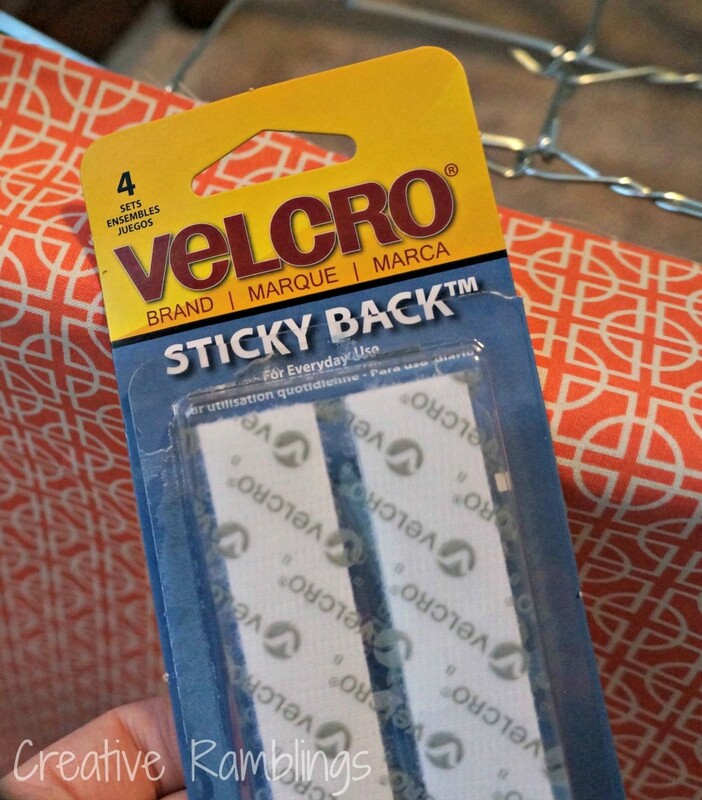 To make it adjustable, when I lower the mattress I can un-stick the Velcro and restick in the right place. If the sticky back wears off I can add a new piece as needed. 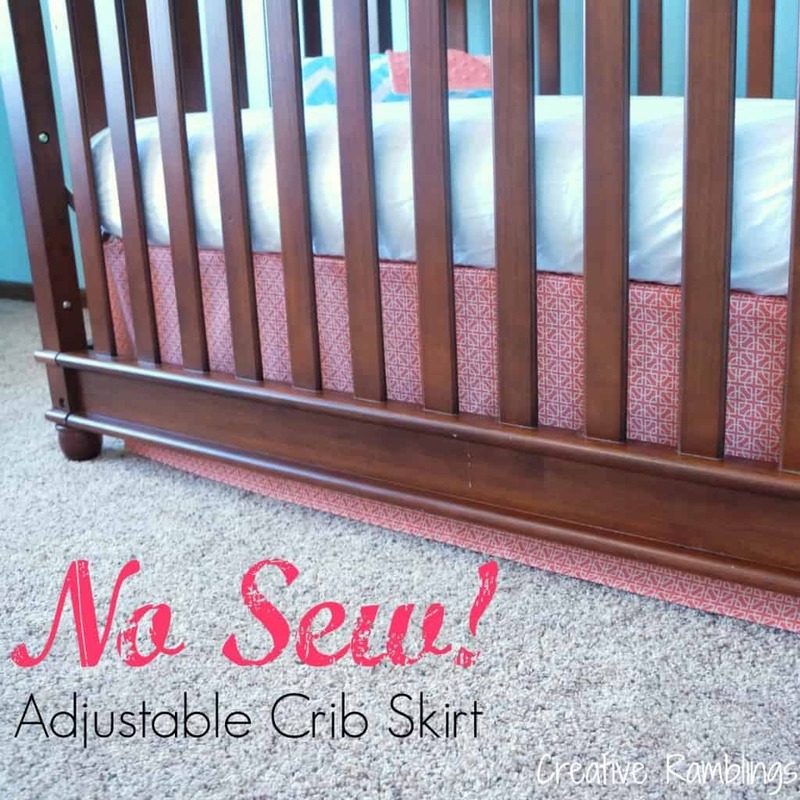 Do you use a crib skirt? What’s your solution for when you lower the mattress? Want to see more of this nursery? Get more baby project ideas here. 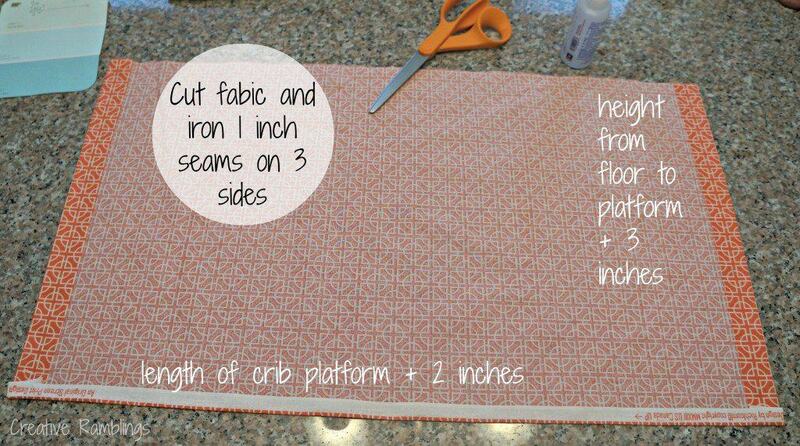 What a great tutorial for those who don’t sew! Looks great! Ah! I absolutely love this! 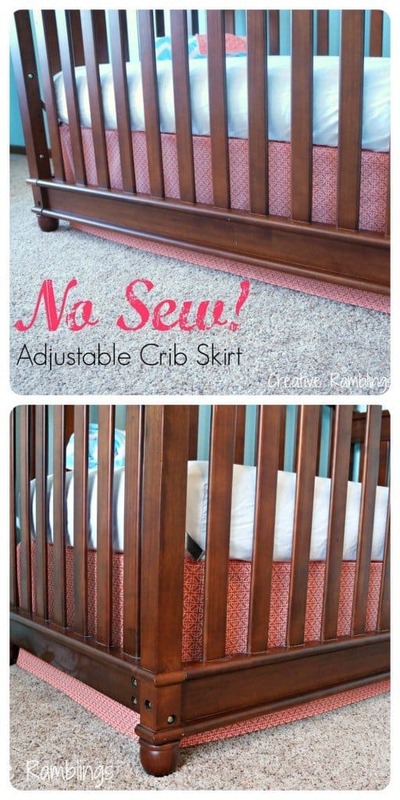 I’ve been looking for the perfect crib skirt tutorial…I think I found it! Wonderful Kersten, so happy I could help. Great idea! I haven’t really made a crib skirt for the crib because I wasn’t sure it made sense to do all that work, but yours looks really nice! Definitely an easy project. Thanks for stopping by. Love this! I definitely need this and I love that it’s no sew. I have a sewing machine but I still have yet to use it. Thanks Jessi. I actually have a sewing machine too but the thought of trying to figure it out is a little overwhelming. Yes hours, lol! So much you can do with a little Velcro. Thanks Joy. I love this idea! I am getting ready to do the same thing on my daughters new day bed! Thanks for sharing!